It’s easy to focus on the internal herbal preparations, like teas, extracts, and syrups, because we are so conditioned to “taking something” – whether that be supplements, OTC medications, or prescriptions – to manage our health. Topical herbalism, though, has many unique preparations that have benefited people for generations. In this post we’ll teach you how to make a poultice using both dried and fresh herbs. Poultices are probably one of the most often overlooked topical applications of herbs – which is a shame! As we discuss in our online herbal programs, this simple type of preparation can be used as herbal first aid and after care for things like burns, splinters, cuts, and bruises, or they can be used for more chronic health challenges. Poultices can be used on the chest to help the body handle congestion, on joints to soothe injuries or arthritis, and on immune related skin troubles like shingles. Not only are they very simple, they are also versatile. Even though the word “poultice” sounds a little odd, a poultice is nothing more than a direct way to apply herbs to the skin. For making a poultice, herbs are usually crushed into a pulp or made into a paste that is spread directly onto the surface of the skin, up to an inch thick, and held in place with gauze or muslin wrapped around the area to keep the poultice from rubbing off. 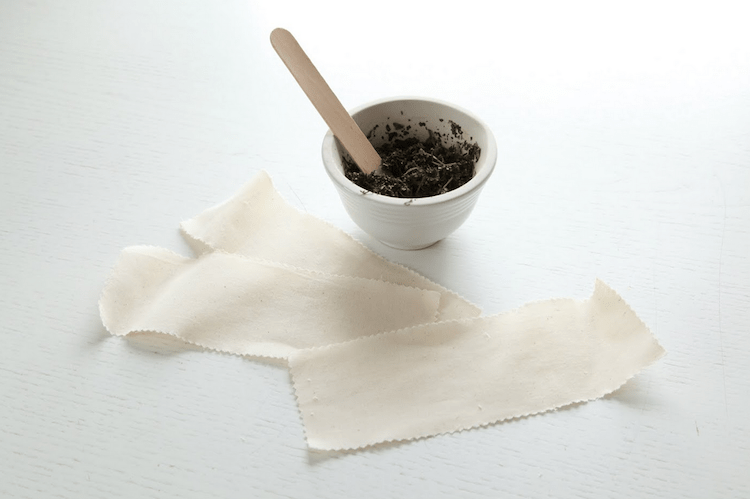 A very basic poultice can even be made with a whole leaf held in place with an adhesive bandage! By changing the temperature of the poultice, the healing actions can be altered. A warm or hot poultice will help to increase circulation to the area, and a cold poultice can help soothe inflammation. Adding skin tingling, stimulating herbs like ginger is another way to use herbs to help increase circulation to the area. Benefits of using a poultice over, say, a salve or a cream include the ability to use fresh herbs, which have the fullest amount of the herbs beneficial characteristics; the tendency of poultices to help draw out foreign material from the skin or a wound; prolonged contact so that the beneficial constituents of the herbs can be absorbed by the skin over a longer period of time; and a very simple list of ingredients. The downside to poultices is that they take a little more time to do their thing and are a bit messier than other topicals, which is why you need to wrap the area or cover with a bandage to keep the poultice in place. But if you apply them before bed and wrap them up well this is no problem at all. Whereas a cream or an oil can be rubbed into the skin and then you can move on to other things, it’s best to do most poultices at night so the herb can work while you sleep. What Herbs Make Good Poultices? Although most herbs can be used as a poultice if the situation calls for it, it’s important to remember that if it’s an herb you would not take internally you should not apply it as a poultice either. The herb will still be absorbed into the bloodstream even though it’s being applied topically. So herbs that shouldn’t be used internally while pregnant or because they might interfere with prescriptions or a preexisting condition are still contraindicated as a poultice. A few herbs – like angelica – don’t make good fresh poultices because they can cause contact dermatitis in some people. Make sure to get to know your herbs before you try them as a poultice (a good way to learn about herbs is through The Herbarium plant database), and if you have any known allergies to herbs take that into consideration before you try a poultice. You can learn more about all of these herbs in The Herbarium! Determine which herbs you would like to use, and estimate how much you will need. The amount of herbs to use depends on the size of the area that needs to be covered, so just give it your best guess. Take the herbs you have chosen and chop them into small pieces on a cutting board. Transfer the herbs to a mortar and pestle, and crush the chopped herbs until they become a pulp. The end result needn’t be silky smooth – the main thing is to start the juices flowing. As you chop and mash, the herbs will release their natural juices and the leaves will become softer. Herbs may also be chopped using a blender instead of a cutting board and mortar and pestle. Spread the crushed herbs onto the desired area of the skin. How thick to apply the herbs is up to you, but do make sure that the poultice is applied evenly across the area. Wrap the area with a layer of gauze or muslin to hold the paste in place. You might even wish to apply a layer of plastic wrap to the outside of the finished poultice, which will help insure that the juices don’t make a mess. Making a dried herb poultice is even less work than using fresh herbs, because there is less chopping and mashing involved. It’s a tradeoff, though, because fresh herbs are usually stronger than dried and have a more complex make up. Dried herbs will still work well, though, and it’s nice to know you can still make a poultice even when fresh herbs aren’t available. 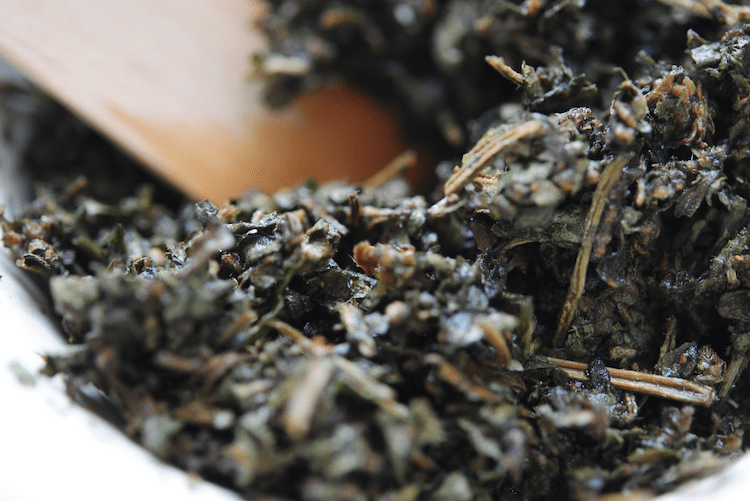 Take desired dried herbs and combine with just enough hot water to moisten them. For roots, it’s best to use a powdered form. Simply add hot or cold water a little at a time to create a thick paste. Sometimes an even easier type of poultice will do the trick: one simple leaf and an adhesive bandage! This type of poultice is great for little cuts or scrapes, splinters, or after care for an insect bite or sting. Select a leaf from the plant you wish to use. Plantain, mullein, bee balm, or lemon balm are good candidates. Roll and knead the plant between your fingers so that it is crushed and begins to feel damp. Smooth the crushed leaf over the affected area and secure it in place with a bandage. Change for a new leaf in a few hours if desired, or remove with the bandage when it is time to let the area breathe for a bit. Poultices are a basic part of the herbal tool chest, because they are quick and easy to prepare. Whether they are made using fresh or dried herbs, or even just a simple leaf and a bandage, they are versatile and well worth learning to make. They even make a great stand in for other topicals in a pinch – the next time you run out of your favorite herbal salve, remember poultices! Essential oils are another well-loved part of our herbal toolkits here at the Herbal Academy of New England, so much so that we just released a new ebook (picture above), The Herbalist’s Toolkit: Essential Oils! Our ebooks are exclusive to our Herbarium members, so if you would like a copy, plus access to an herbal monograph database and articles that aren’t available anywhere else by an impressive lineup of herbalists, come check it out. There’s even a forum where you can talk with other herbal enthusiasts like yourself. And, if you’re looking for an herbal school to start your herbal journey, we’d love for you to become acquainted with our Online Introductory and Intermediate Herbal Courses. We’re proud of the quality and affordability that we have to offer!